Knowing how to create a newsletter is as important to your business as knowing how to design a good landing page to capture leads. A newsletter is the ideal format to keep your subscribers up to date with everything happening in your business. It allows you to maintain a fluid, direct and personalized communication with your potential audience. Can you ask for more? Yes. You can hope that making a newsletter be as simple as getting it to open, that it be read or that the user feels the need to click on the CTA it includes. Luckily, all this is at your disposal. In fact, all these features can be controlled if you learn how to create an effective newsletter. In general terms, the key is to provide the user with useful and interesting content of quality. And making the messages arrive at the best moment. That is something you can also analyze, test and achieve. Best of all, this work can be automated for you to only worry about the important aspects. A newsletter is a regular publication a brand sends to its subscribers via email. The topic is yours to choose. You can choose to share topics that can include product news, offers, and news about your company, tips or customer testimonials. The good thing about this resource is that it is one of the most permissive types of communication that exist. Remember that it is the user who has given you their email address so he can keep up to date with your latest news. Are you going to disappoint him with a mediocre email? Generation of landing pages adapted to all devices. 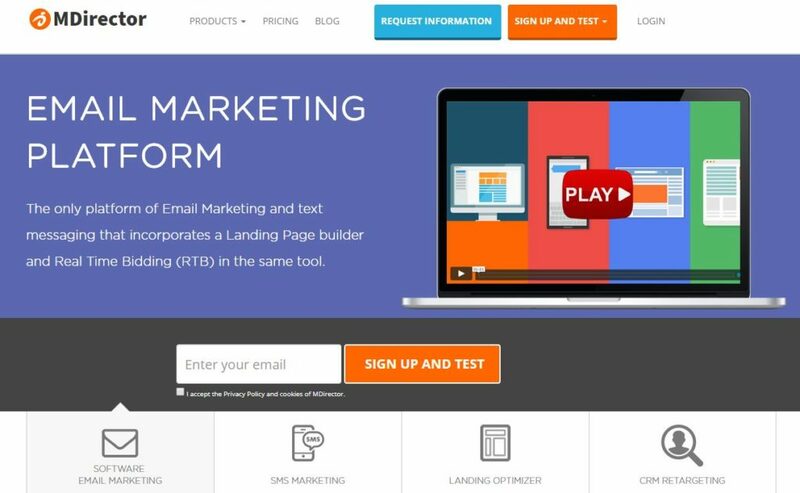 One of the main features of this email marketing software is that it combines professionalism and comfort. Additionally, it allows a great level of personalization for each of the elements you want to include in an email when creating a newsletter, from the creativity of the messages, to the moment of the delivery, or to whom the emails are sent. Among its other advantages, there are thematic templates to make you creative process and design easier. Although, the best feature is that it is a very intuitive and easy tool to create a newsletter and make sure it is displayed correctly on any device. Once you have chosen the tool, you will have to analyze your database. You must remember that buying it is the worst thing you can do. Ideally, you would have been creating it all this time and you have kept it clean and updated. It is very likely that users have changed their email or phone addresses and their data will not be useful, as no one will read your emails. Some of your contacts may no longer be interested in your services. In fact, although they should unsubscribe themselves, there are those who do not so it and who do not open their emails. Or in the worst case, your emails are sent to the spam folder. It is important that you respect your customers when they request to be unsubscribed and that you delete them from your database. You should not bother them. You need to send information to people who have given you their authorization and who are interested in it. Do you have bots in your database? It is important that you use mechanisms to control the users’ activity in order to know whether your contacts are actually of quality. In this case, MDirector has interesting statistics that you should watch frequently to maintain a good database. Browsers from which queries are made. Create a calendar and every so often, delete those subscribers who do not meet the standards you have marked. Your database is perfectly segmented. Now, based on the subjects and the contents you want to share, you need to decide who will be part of that ideal audience that might be interested in receiving that information. This process is essential to be sure that your contact list receives the information it needs. Make it useful and of quality. 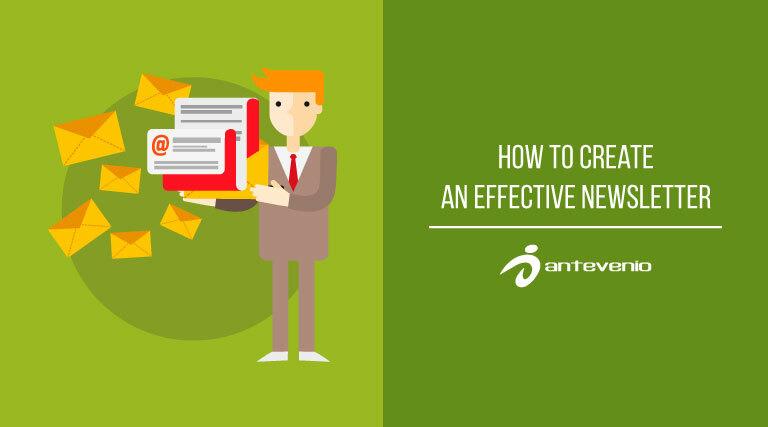 In fact, creating an effective newsletter does not only mean you need to decide what colors and images it will include. Your final objective is that it reaches the audience that is part of the process. 4.- What format will it have? For example, HTML emails are more attractive. However, they are more likely to be marked as spam if you skip the basic coding rules. If you choose this option, remember to include text in the “alt” attribute. It is possible that many users have configured their email with the option to avoid downloading images. On the other hand, plain text weighs less and avoids spam markers better. Its use is focused almost exclusively on email managers that do not let you display images. Despite this, companies that choose this format manage to differentiate themselves from the competition and achieve more. The best thing is for you to work it by parts. What topic are you interested in writing about? You might have decided this in step 3, when you decided who will get your newsletter. But do you know how to capture that idea to draw the attention of your users by means of the design? To get the attention of your subscribers, it is ideal that you focus on a specific topic and that your entire design is consistent with that idea. The best way to translate all this is to use MDirector templates divided by sectors. Personalization is essential in any digital marketing campaign. It is the star ingredient to humanize a brand and achieve a closer approach to the user. Therefore, there are certain elements you should work on to have a more personal communication with each user. It includes the brand’s logo. You must be recognized at the first glance. It should be accompanied by a good headline and some texts that include powerful ideas. Otherwise, the subscribers will skip it. And of course, powerful images optimized for email marketing. Email footer. This part should include your corporate information. That is, your address, email, phone and buttons to access your social networks. Although you must never forget to include an unsubscribe option in order to create a powerful newsletter. It is essential to maintain a clean database. Take a look at your inbox. Do you notice something different? Does it have more color? Is there a subject line that particularly draws your attention? 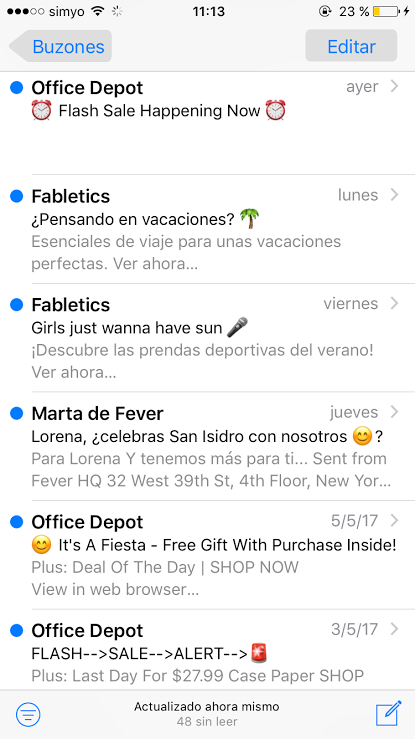 One of the most effective additions when creating a newsletter is emojis. In fact, the practice of including emojis in the subject line has increased by 775% year after year. Those that contain emojis reached a growth of more than 7,000% in the last months. However, there are good practices and different steps to create powerful and personalized subject lines. Follow them to achieve an undeniable visual impact. It is advisable that you perform an A/B test to know whether all the elements you have chosen when creating a newsletter make sense and work. Test calls to action, colors, images, everything you needed. And of course, you must analyze the campaigns and their corresponding metrics. The best way to continue moving forward and growing is by learning from your subscribers. To do this, performing analysis of the results and statistics of your emails will help you know how your campaign is doing at all times. For example, if until now, once you created a newsletter, you are used to sending it weekly, do not break that routine. To connect with your followers, the best thing is to create routines and have them ready to receive your messages. In fact, when messages arrive without being expected, they usually generate worse results. The same thing happens if the users do not know you. Therefore, create a publication’s calendar and follow it. It is a good way to build loyalty among your readers. Do you want to test all the tips we have given to you? Sign up at MDirector and learn how to create a powerful, eye-catching and effective newsletter for any device in just a few minutes.